Two UK organisations have successfully secured funding to develop a low-cost animal disease diagnostic tool. 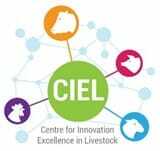 Almost £280,000 has been secured by The Centre for Innovation Excellence in Livestock (CIEL) in York and Biotangents in Edinburgh, through the ‘Agri-Tech Catalyst’ – a £90 million f und from the Department for International Development (DFID) and the UK’s innovation agency, Innovate UK. The funding will initially be used to develop a diagnostic tool to test for the bacteria causing Contagious Pleuropneumonia, a highly contagious tropical disease of cattle and goats across Africa, Middle East and parts of Europe. The tool will be developed by Biotangents and Kenya’s leading veterinary distribution company, Sidai Africa (Kenya) Ltd, a partnership that has been developed through CIEL. The resulting test will be designed to be paper based and low cost (<$1 per test). It will become an essential tool in helping to protect the livelihoods of small farmers across the region, as well as limit the spread of infection. It will be developed and tested in the lab before being trialled on farms in Kenya. It is hoped this project will be the beginning of a series of low-cost diagnostic tools developed by the consortium, for preventing the spread of animal diseases but also for diseases closer to home – including human health and antibiotic resistance. All diagnostics will be developed and manufactured in the UK, helping to create highly skilled jobs and global exports. The technology we are developing in the UK, Moduleic Sensing™, is designed to allow the rapid development of diagnostics products for a range of infectious diseases in livestock. With the need to feed an expected global population of 9.7 billion by 2050, we are delighted to have the opportunity to work with our partners on this project and play our part in increasing the efficiency of livestock farming. CIEL has brought together two businesses and secured funding to help develop this diagnostic tool. It represents a useful innovation for farmers in Africa, but importantly should lead to relevant new technologies for farmers and vets in the UK too. Requirements to reduce antibiotics in farming means low-cost paper based tests for diagnosing disease at the pen-side will be essential in helping diagnose and correctly treat livestock diseases.